Seaweed on toast? The idea might seem a bit odd, but sea weed is incredibly healthy and tastes amazing. The same can be said about salmon. That is why you should definitely try this combination of superfoods on toast! Fillet the salmon, then cut it into small slices. After that, squeeze the lemon. Put the mayonnaise in a bowl and mix it with the freshly squeezed lemon, until the taste is just right. 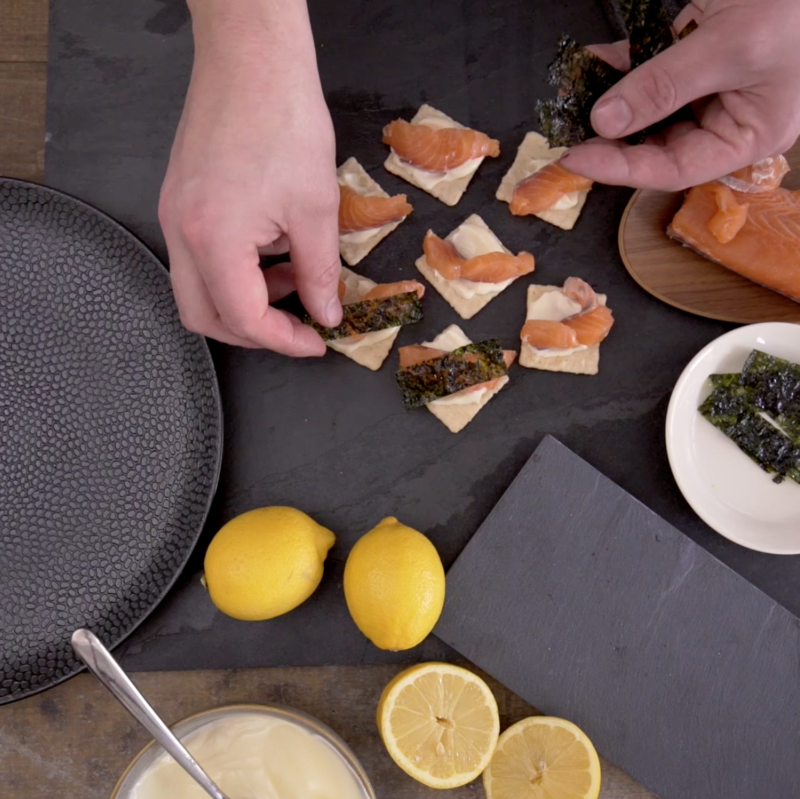 Afterwards, spread the toast with lemon mayonnaise and arrange the salmon and seaweed chips on top of it. Tip: Try this recipe on Melba toast sesame too.